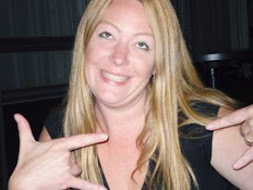 Do you want to know what I got for Valentine's Day from the hubbie? A basket of meats and cheeses he knows me so well! I'm going to have to work out twice as hard this week that is for sure! Usually on Valentines Day I make a nice steak meal, with a cesar salad and a nice french bread with chocolate covered strawberries that my kids usually have helped me with in the past. But times are a changin! And I thought I would mix it up a little and make what I am calling a heavy appetizer. 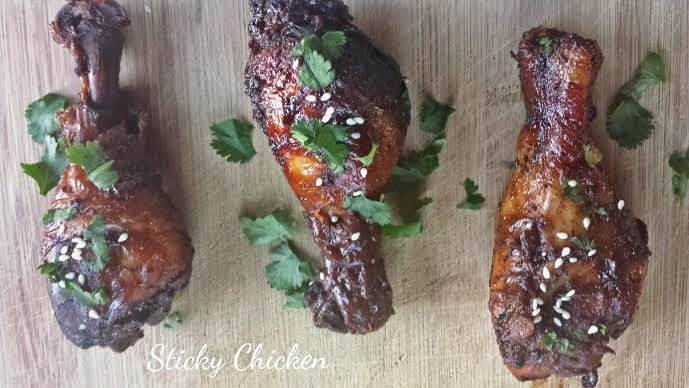 These delicious Sticky Chicken legs! Just making the sauce I started to salivate, it smells SO good! I adapted this recipe from a lovely blogger you can find at Farmgirl Gourmet. I made adjustments to suit my liking but her variation sounds wonderful also (not much different at all)! To go along with these Sticky Chicken Legs I made a homemade Blue Cheese Dip. Simply mix all your ingredients in a saucepan until the brown sugar is melted. Remove it from the heat and let it cool a bit. Wash and dry your chicken legs place in a crockpot. Now pour your mixture over the chicken, mix well so you cover all the chicken legs best you can. Set your crock pot on low and let the go for about 6 hours, stirring occasionally. Once that is done cooking place on a serving dish and sprinkle with cilantro and sesame seeds. Eat it as is or along with a dipping sauce. Farmgirl Gourmet served her's with white rice and pea pods, that sounds amazing too! These chicken legs were awesome falling off the bone moist! And thank you for the craft idea, we love our projects!